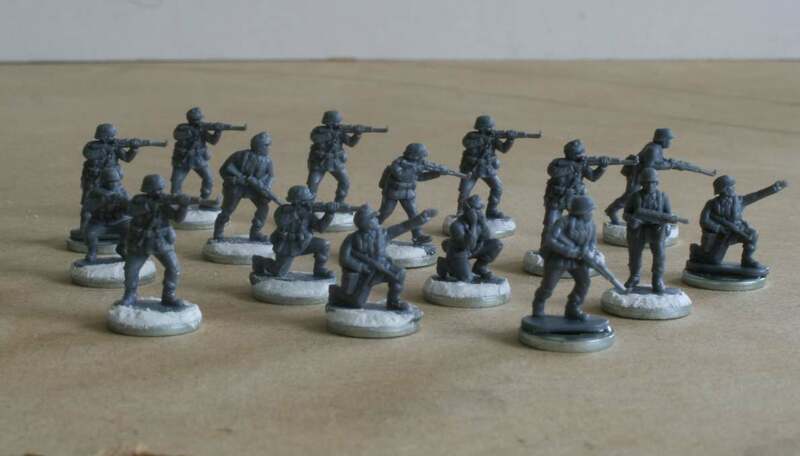 Ive started to prepare the Plastic Soldier Company German infantry figures so here are a couple of photos. The box contains 5 sprues the same. 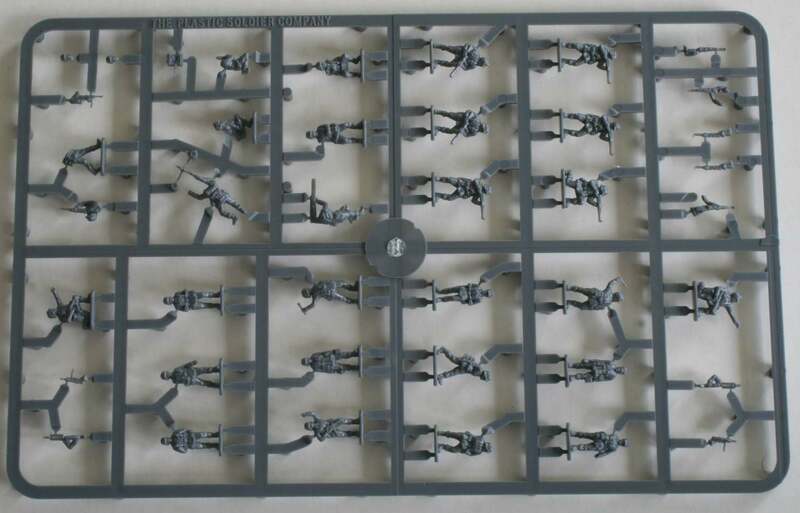 Each sprue has an assortment of infantry weapons ie: smg, rifle and lmg, but there are no anti-tank weapons as these are included in the heavy weapons box. Some of the figures are 1 piece mouldings while others require weapons or heads to be glued on. To get the best finish there is a little finishing to be done to remove mould lines. 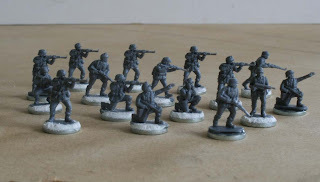 I have now started basing my figures on 12mm washers and here are a few showing the completed figures. More pics will follow when I have painted a few.